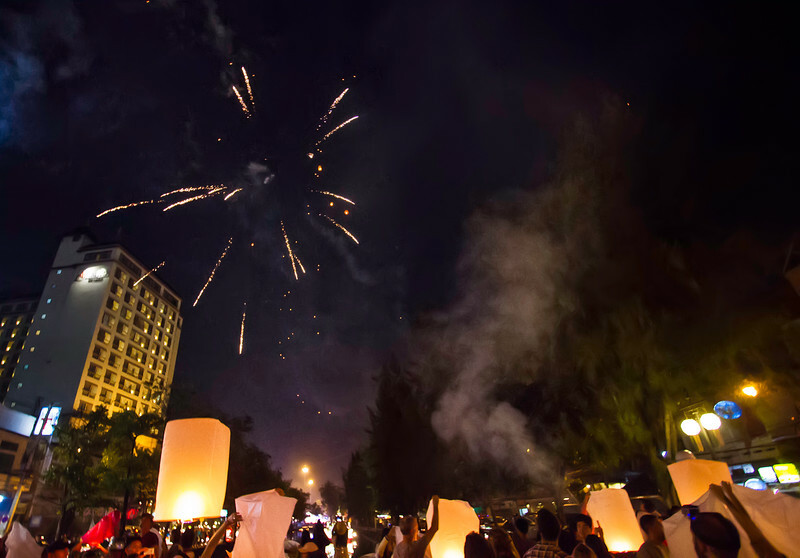 Over the past few days there has been a festival on in Chiang Mai which is held over the time of a full moon. Hundreds of lanterns are launched into the air, each has a small candle and the heat from the flame gives the lanterns there lift. You can see a couple dozen lanterns in this photo, the small yellow dots that look like sparks from the firework are actually lanterns.